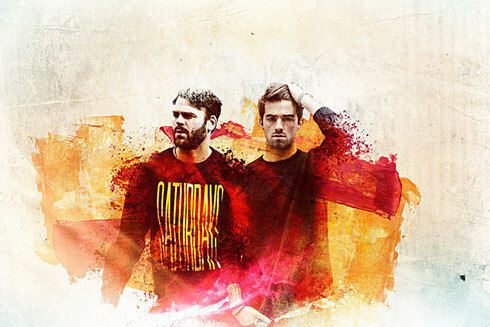 American electronic DJ duo The Chainsmokers recently announced they will be performing a second live date at Electric Brixton on Thursday 21 October 2016 following their now sold out show on 20 October. The act also sold out their live show at Heaven earlier this year. The young New York DJ/producer duo, consisting of Andrew Taggart and Alex Pall, has possibly become one of the hottest electronic music act worldwide in 2016. On the production front, their original tracks and remixes have proven popular. Their first major release, ‘#SELFIE’ and its official music video with over 500 million Youtube views went global hitting No. 1 on Billboard Dance and selling over 10 million copies worldwide. Quickly following this success, the duo entered the DJ Mag Top 100 DJ poll and released tracks ‘Kanye’, ‘Let You Go’, ‘Roses’, and current US/UK Top 3 single ‘Don’t Let Me Down’. ‘Roses’ ascended to Top 10 Pop airplay and Top 10 Songs on iTunes US, with Roses reigning in the No. 1 Spot on Top Dance/ Electronic Songs, and ‘Bouquet EP’ claiming the No. 1 Position for Dance/ Electronic Albums. The official ‘Roses’ videos have now surpassed 300 million combined VEVO/YouTube views to date plus over 2M + weekly US Spotify streams. The Chainsmokers currently have two radio shows: a monthly mix show titled ‘Nice Hair’ on SiriusXM radio and weekly YouTube show presented by Google. Last year they played over 300 shows in countries around the world including festivals Lollapalooza, Firefly, Tomorrowland and Ultra. After completing their 40 City Sold Out Friendzone Tour in 2015, they kicked this year off with Tilt Tour, the first ever fan-sourced tour, followed by appearances at SXSW, Winter Music Conference, and debut at Coachella Festival.